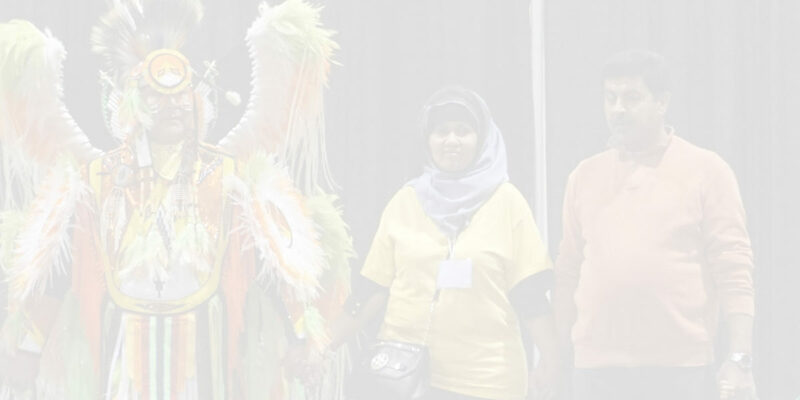 With the Indigenous Voices in the Classroom (IVIC) project, CIES, in partnership with Centre for Newcomers (CFN), aims to address the historic prejudice and discrimination that has silenced Indigenous people in every region of Canada and alienated our indigenous and non-indigenous communities. Building on the knowledge and experience shared by indigenous elders and community members from across southern Alberta and British Columbia, CIES and CFN will work to create a curriculum of study for Literacy and CLB 4 learners in the Language Instruction for Newcomers to Canada (LINC) program. This curriculum will be implemented in LINC classrooms at CIES and CFN, and across other settlement service providers, beginning in August 2019. With the advent of residential schools, indigenous ways of being, knowing, speaking, and sharing were systematically erased in the classroom. While strides have been made in recent years to bring indigenous voices back to the table, indigenous Canadians still endure the silencing and the stigma that those racist views inflicted, and are not considered equal partners in Confederation. This historic alienation has resulted in a lack of healthy vocabulary around indigenous people and traditions, and many non-indigenous teachers lack the confidence to address Canada’s historic atrocities in the classroom, often avoiding the issue completely. As such, when newcomers arrive in Canada, unless they are exposed to sensitive, culturally aware instructors who prioritize bringing indigenous voices into their classroom, they risk total ignorance of their new country’s original inhabitants for lack of opportunities to interact with those communities or learn about them. This risks their indoctrination into the well-worn prejudice that so many Canadians share. By bringing indigenous voices and faces into the LINC classroom, indigenous stories and storytellers become tangible and real and shed the stigma of being the faceless “other.” By learning from real people and their stories, newcomers can build knowledge and insight into the successes and challenges that these communities face today. When these relationships are built, teachers and administrators are empowered to introduce indigenous history and culture to newcomer classrooms with more frequency, insight, and sensitivity. Newcomers are encouraged to build relationships with indigenous communities and can avoid the traditional societal prejudice affecting Canadian society today. To reach these goals, project curriculum developers from CIES and CFN are working together with indigenous elders and community members from across southern Alberta and British Columbia. As these community members share their stories and knowledge with the project, a curriculum of study for Literacy and CLB 4 LINC learners will be developed. The curriculum will be officially launched to LINC teachers and administrators in July 2019, with classroom implementation at CIES and CFN, and across other settlement service providers, beginning in August 2019. Curriculum launch event details will follow.